We had two of our dearest friends over for dinner last night, followed by the movie, The Butler. 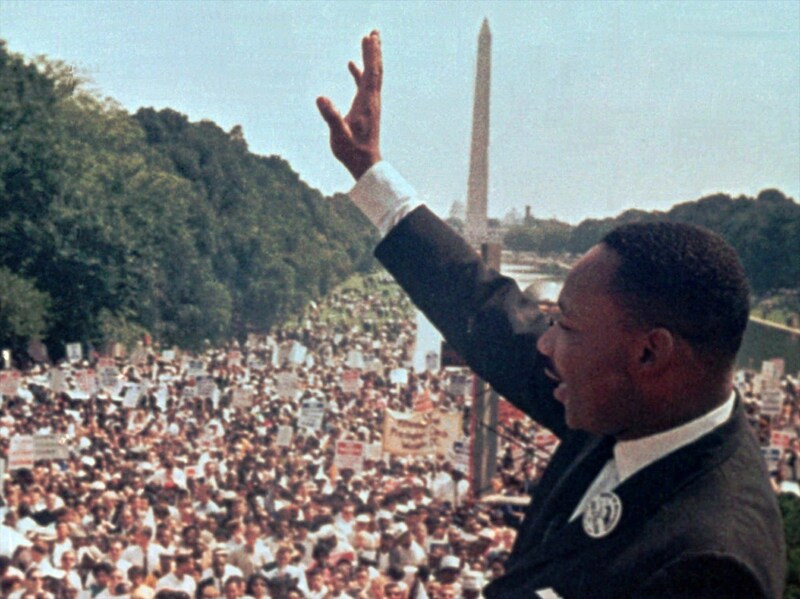 None of us realized that yesterday was the 50th anniversary of Martin Luther King’s famous, I Have a Dream speech. And none of us thought for a minute about the fact that our friends are African American and we are white. We all loved the movie, highly recommend it, and while the producers took some liberties on the script relative to U.S. Presidents and their policies, the powerful story line was not lost on any of us. 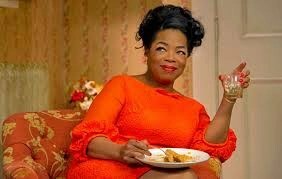 Oprah in the lead female role was brilliant, and certainly this movie is Oscar-bound. The reminder of the bloody, arduous, painful journey of African Americans in our nation is tragic yet triumphant. I sat there multiple times in the theatre, tears in my eyes asking God to forgive us for our pride and prejudice. To think we now have an African American President in the White House, whether we agree or disagree with his policies, is truly a remarkable sign of progress. I woke up thinking about the movie, wanting to see it again, wanting to be continually reminded of my own judgments and insensitivities, that turn-a-blind-eye eagerness to forget and ignore how rough it’s been. I love how the movie depicted family, the ways in which each character fights for freedom in their own way. Isn’t that the ongoing journey of every human soul? Full of dreams yet fighting through barriers and prejudice, our own and other’s. 50 years later we did just that last night over lamb chops and peach pie, never thinking for one moment about the color of our skin or our differences. We are family and we are grateful. In this Love Your Life Lesson I’m with one of my lifetime best friends, Kathi Graves, as we’re hanging at her house discussing our 4 tips for having a friendship that lasts a lifetime. In spite of distance, seasons that change, and heartbreaks that come, finding a friend for life is one way to get through life with hope and lots of laughs. Join us in this brief little chat and see if you resonate…. 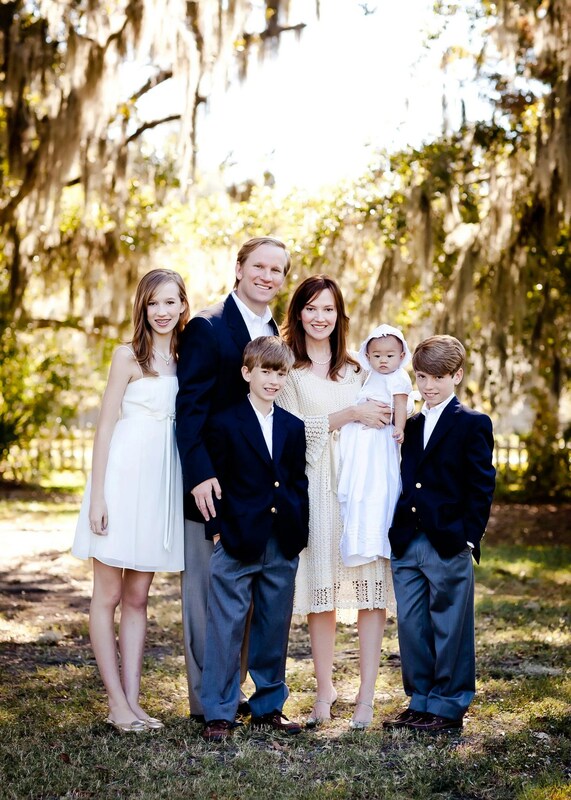 Steve and Jennifer Robinson with their gorgeous family. Generosity — they’re putting us up at a very nice hotel for two nights so we will feel lavished, including a spa treatment (imagine me convincing my practical husband YES honey, you DO need a massage!) I still wear a turquoise necklace Jennifer saw me looking at the last time I was shopping with her. “You need this,” she said, and immediately purchased it at the counter. Vision — They pastor an awesome church, Church of the King in Mandeville. I’ll speak for their Tues. night women’s event called, “Come Alive.” Excited about what’s on my heart to share with these nearly 1,000 awesome women who will give up a night of their busy lives to come hear me. Honored, always honored. Hurt, frustration, sadness, disappointment. How can someone leave and not tell? Why am I finding out this way? Self-doubt and condemnation — I should’ve done more. We talked at length, both of us crying, open hearts and honest sharing. A gift to have a friend like her who is whole enough that the conversation becomes more about the other person than about you. Still though, such sadness, if only they would’ve talked to us and let us in on their thinking. I understand their need for “more friends who we can really relate to,” but who hasn’t felt that, perhaps many times? I’ve also left a church without telling the pastors. Not wanting to face them I quietly stopped going. Years later (maybe 15 yrs) I ran into them, and the wife told me how it had hurt her. Rightfully so, I was wrong. Am I reaping what I sowed? Maybe, though today’s experience is sadly not the first, nor unique. Endings are more weighty than beginnings. Consider funerals in contrast to births, retirement vs. start date, farewell moments vs. hellos. Endings relate to investments, and should always be tended to with the utmost of care. The consumer mentality is prevalent. If I’m the consumer and the customer is always right, then this perspective drives my decision-making. Granted, sometimes it’s the right posture, but personally I’d rather strive for ownership than consumerism, therefore I make decisions like an owner would, with long-term investments trumping over short-term comforts. There are seasons for everything, including friendships and church selections. Our friends will remain our friends with church in common or not, but the whole experience leaves me with a stronger-than-ever commitment to care more carefully about endings, at home, work, and most of all with people. We spent a casual but fun election night with our dear friends Nathan and Jennifer Gooden. Jennifer made chili and cornbread, we brought salad and ice cream bars. In spite of the election tensions, we left by 11 pm, still unsure of results, full in heart. Years later our paths crossed again in Raleigh, and his wife Jennifer, just happens to be the daughter of Tom Berry who I’d worked with at Deloitte in Tulsa. Small world and happy world when paths lead friendships round about and back again. Many times the most chance meetings and smallest of interactions can later lead to strategic open doors. A surprise business venture has brought us into closer friendship with Nathan and Jennifer after all these years. Not knowing what might come in life is why we choose faithfulness even in seemingly mundane introductions, and anticipate fullness in friendships when we tend them with care from the beginning. With Nathan, a superstar back then, even moreso now! Home Goods is a great place to pick up small hostess gifts, this little box of honey looked good so was glad to hear how much Jennifer likes truffle flavor. Dipped Oreo cookies for the kids, again from Home Goods. I love this photo of Jennifer winning the Miss America 2006 Pageant. She is truly a quintessential Miss America, beautiful inside and out! It’s always a joyful experience being around someone comfortable in their own skin. Someone who knows how to let their giftings flow. Today was just such an experience when Ron and I enjoyed an after-church brunch at the home of Darcy and Steve. Being around Darcy and Steve reminded me of how beautiful it is when we let our gifts flow and don’t hold back. So often we’re tempted to conserve, be careful, and not overwhelm others with the gusto we have inside. Instead of being true to ourselves we allocate our gifts based on what we think others want, instead of what we long to give. For many years I felt like a pot of boiling water on a stove with the lid on top. I so wanted to pour forth love as a wife and mother, longed to entertain in a home of my own, felt compelled to write and speak, though no doors were opening. Many days I felt frustrated and stifled. Then I came to realize (out of boiling desperation!) that I was the one stifling myself, the one keeping the lid on through my own assumptions of what I could or could not be, do, and give. So I started flowing. Hosting brunches and baby showers for friends, sleepovers with my friends’ kids, speaking to groups of 4 or 5 in my little apartment. Wherever and however, I simply let it flow. I no longer felt stifled, in fact it brought me alive, and out of the “aliveness” new doors started opening. Energy was flowing, fulfillment was growing, time was passing, and before long, the very things I desired came to pass but before they did, I was ALIVE, full and fulfilled, flowing. So at this time of year when gifts do flow between friends, family, and co-workers, why not make it a point to start opening up your own floodgates, letting go of whatever holds you back and lavishly giving what you have to give — the flow that is authentically, beautifully you!